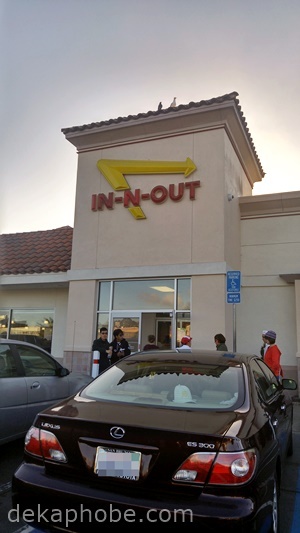 [i am a dekaphobic]: Bay Area Eats: In-N-Out! 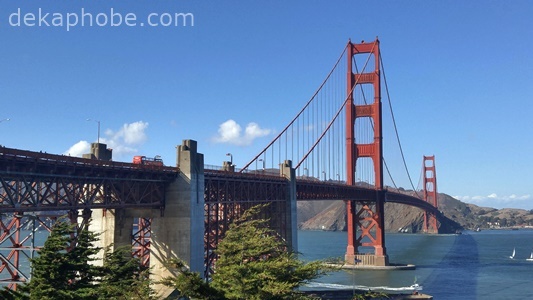 When I was planning my trip to Bay Area in California, I only had two places I needed to go to, no matter what it takes. In-N-Out Burger is a fastfood chain in the US with locations in the west coast, and a few branches in Texas. I really didn't know what the fuss is about, so I did a little research. In-N-Out is a fully family-owned restaurant, which means that all locations are owned by the company, with no franchises until now. 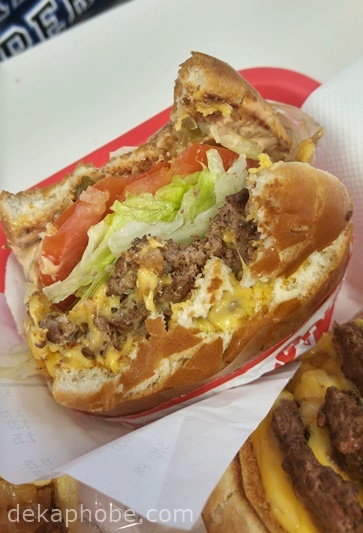 In-N-Out is also known for its "secret menu", which can be found on their website. Another thing that In-N-Out is known for is its food quality. I actually saw potatoes being peeled in the store to be made into fries. We arrived in In-N-Out just outside San Francisco before dinner time, and the queue for the drive thru was outrageous! We ended up dining in and had to wait for a while to find an empty table. We ordered two 3x3 Burgers ($4.45 each), Animal Style Fries ($3.40) and Soda. 3x3 Burgers have three burger patties, 3 cheese slices, with lettuce, tomato, secret spread, and onions. Animal Style Fries are fries topped with grilled onions, melted cheese and secret spread. As a fries fanatic, I loved the Animal Style Fries. Fries with cheesy and creamy toppings are difficult to resist. This item is definitely a must-try! 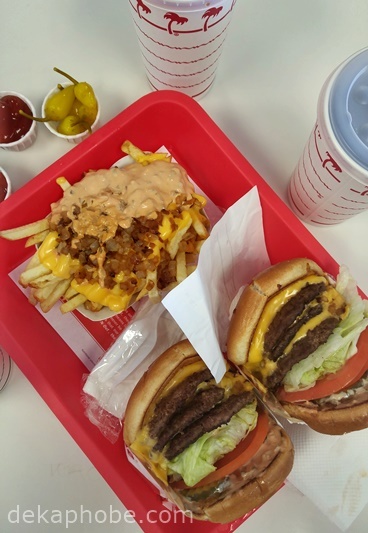 I love trying anything unusual or extraordinary when it comes to food, but In-N-Out is one of those places that remind me that classics still exist for a reason. In-N-Out serves one of the best burgers I have tried. Glad you were able to tick of two items in your bucket list! Hehe happy na ako mag dventure just by reading your posts.